Recently, we decided to take a look back at some of our favorite master bathrooms of 2017. As we told you then, we’ve looked at thousands of different master bathrooms, encompassing all kinds of design styles, layouts and aesthetics. We tried to do our best to pick our 20 absolute favorite master bathrooms of 2018, but something happened. The more we tried to narrow down our picks, the more difficult it became to decide what we really liked. But, that’s not really a big problem, is it? 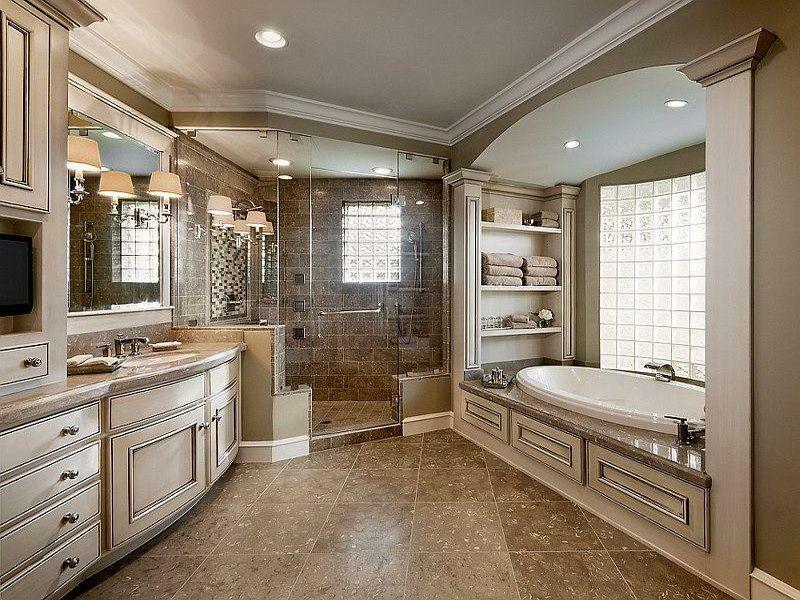 It never hurts to take a look at more master bathroom designs, particularly if they’re exceptional. So, with all of that in mind, we’ve decide to share 20 more of our favorite master bathrooms of 2018. We’ve got bathrooms on this list that are chic and contemporary, just the same as we have ones that feature rustic styling. One thing’s true about each one of these mater bathrooms, though… They’re all amazing. 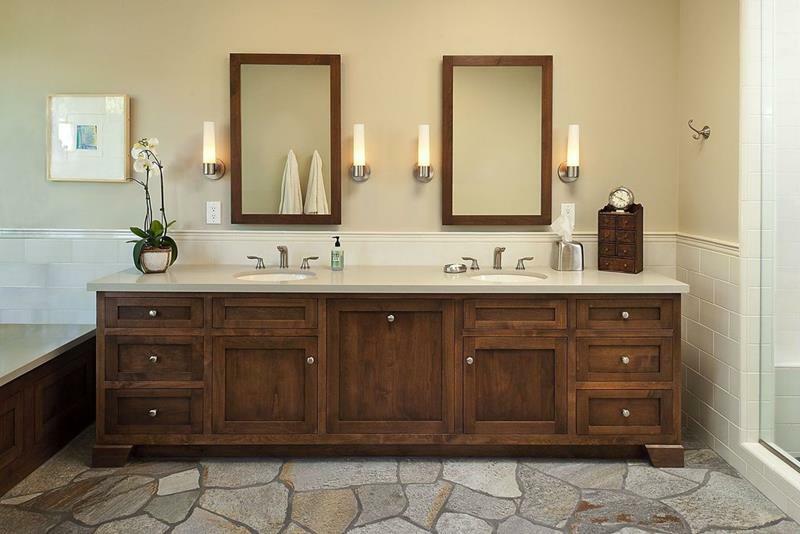 So, come take a look at the one’s we’ve selected, and find some inspiration for a master bathroom makeover of your own. It’s not something you see very often, but we have to say that the stone floor of this master bathroom works perfectly, especially with the yellow walls. This gorgeous and contemporary master bathroom pulls together a consistent look thanks to the tiles used on the floor and walls. 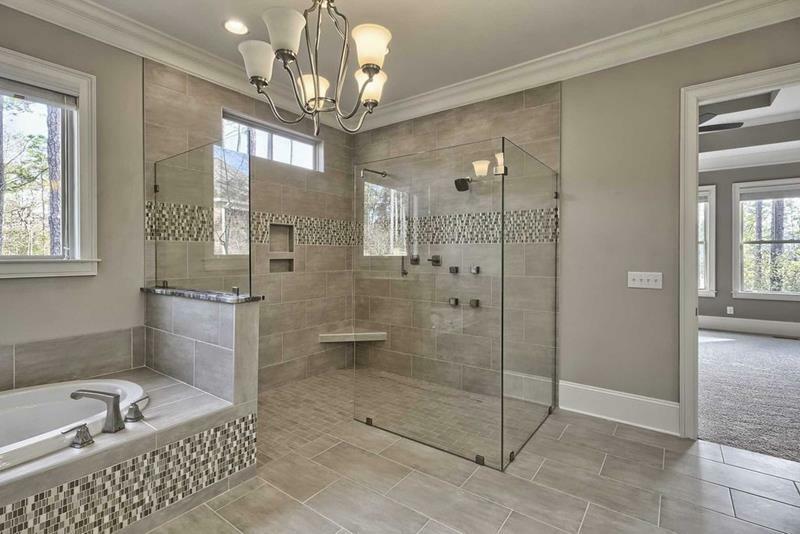 What makes this master bathroom exceptional is the gorgeous tub nook, with pressurized glass tiles letting just the right amount of natural light in. 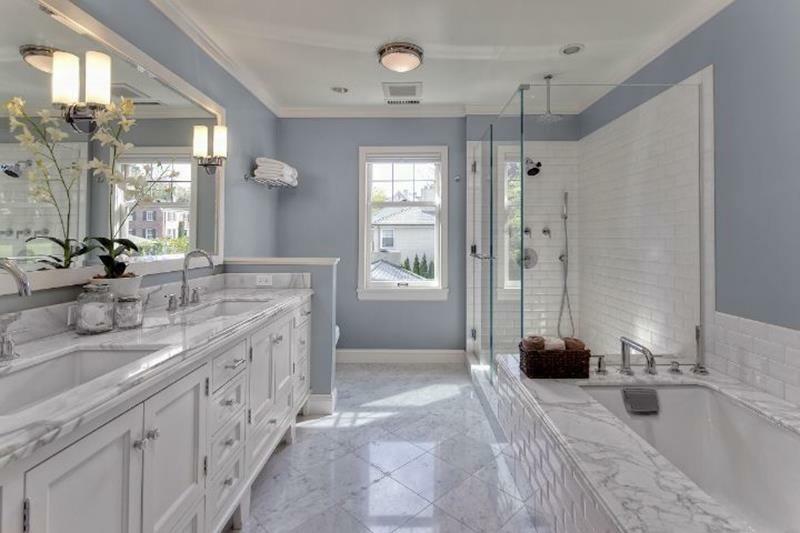 Note how the mosaic tiles used on the walls in this master bathroom help to pull the whole space together.